Compact Design with Nice Appearance. Can be use a gift to your friends or familiers. Unbreakable Plastic Clear Top Cover. New Improved High Capacity Volume Design. High Efficient Stainless Steel Heating Plate. Double Thermal Protection for Safe Application Easy-to-Read Operation Indicator Light. 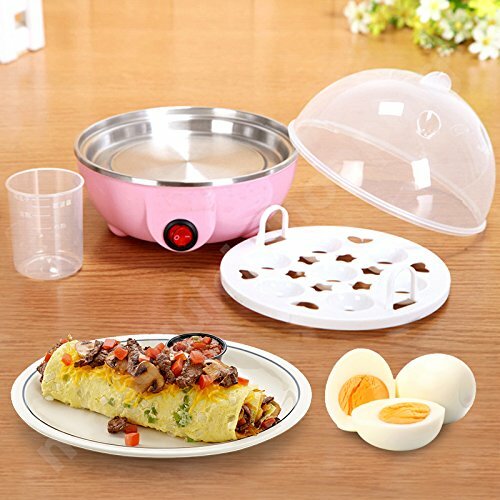 Come with Steam Shelf and Measuring Cup Available Cooking Capacity up to Seven Eggs. 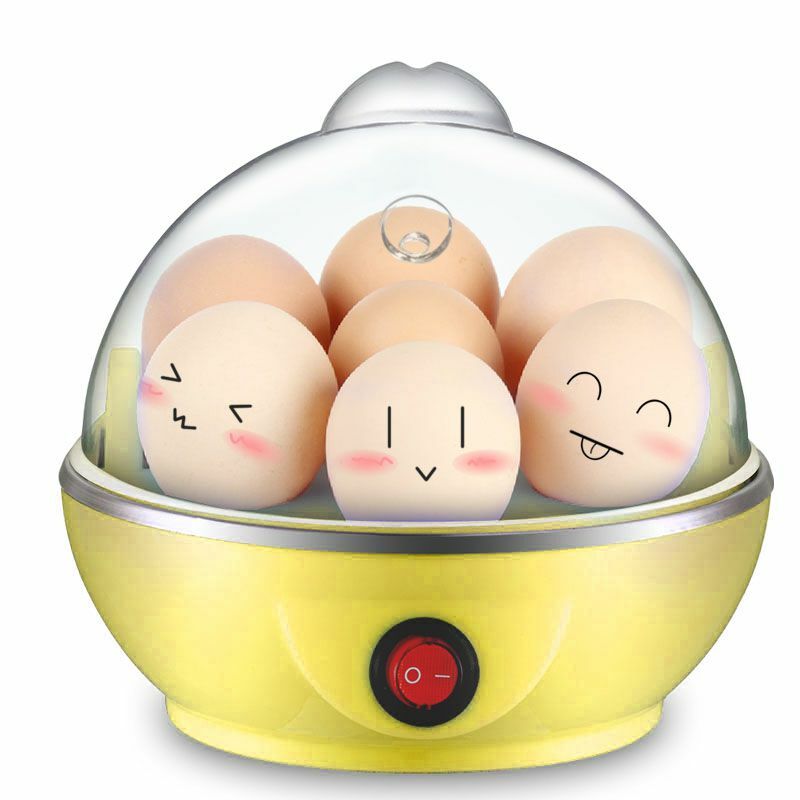 Can be used to be a food steamer Can make you enjoy the DIY cooking the eggs. Egg electric cooker cooks up to seven eggs at the same time, with the beautiful color.choose from soft, medium or hard-boiled. 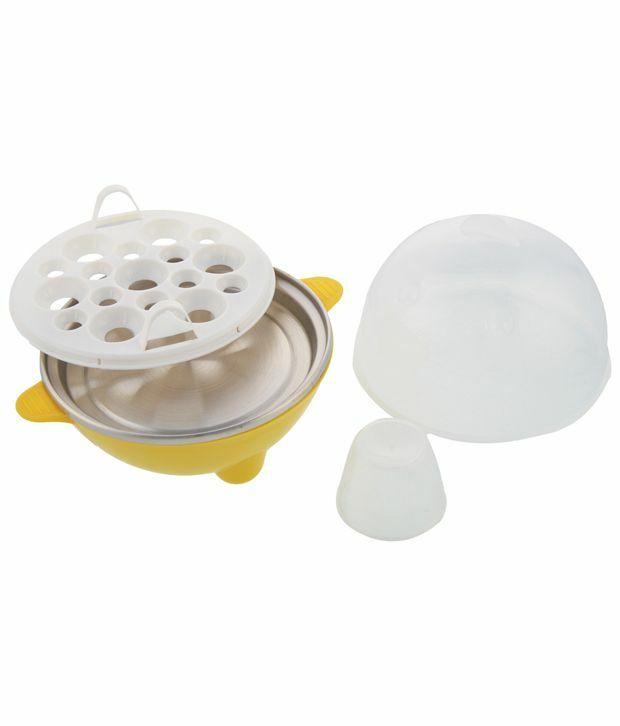 Simply place eggs into the egg, add the required amount of water using the provided measuring cup and turn the unit on. 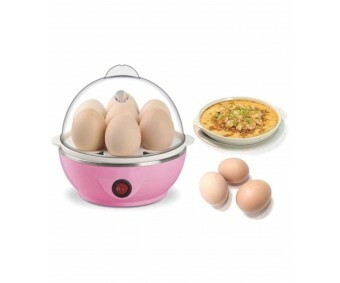 The steam will cook the eggs, so you can have perfectly boiled eggs every time.Also can be used a food steamer. Make a breakfast favorite, create delicious appetizers or a nutritious snack in no time. 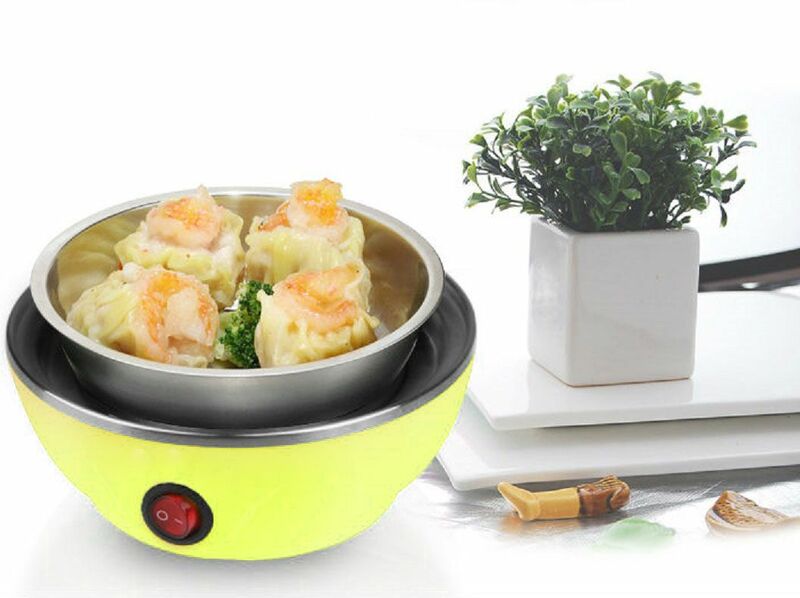 High - Quality Heater gives best result and long life. 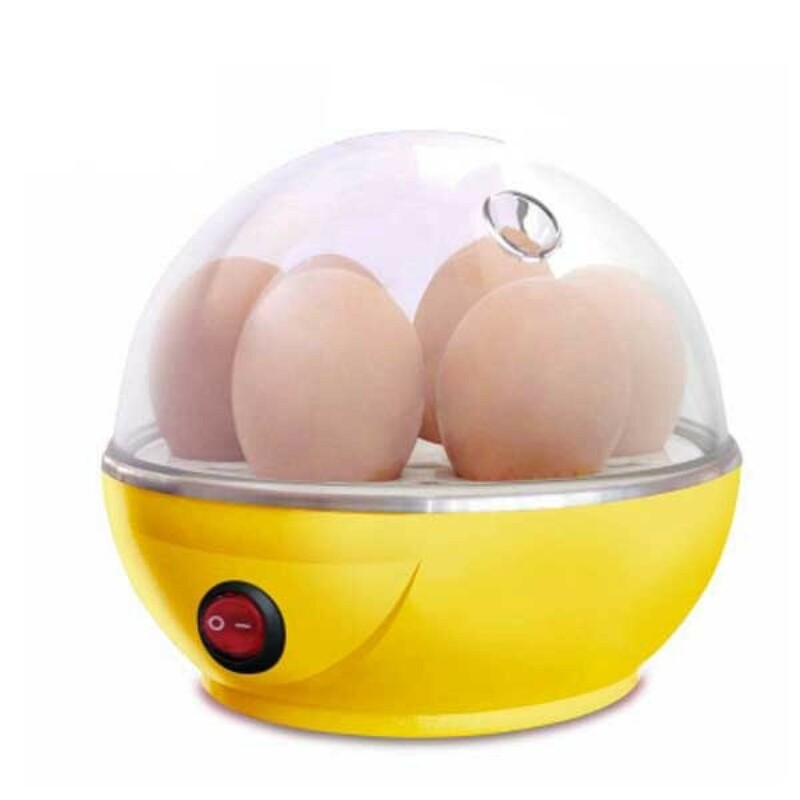 It boils the Egg in steam generated in water by stainless steel heater in 200W Power with 25ML Water. It boils the Eggs in 7 Mins with a cost of less than 10 Paisa for 7 Eggs. 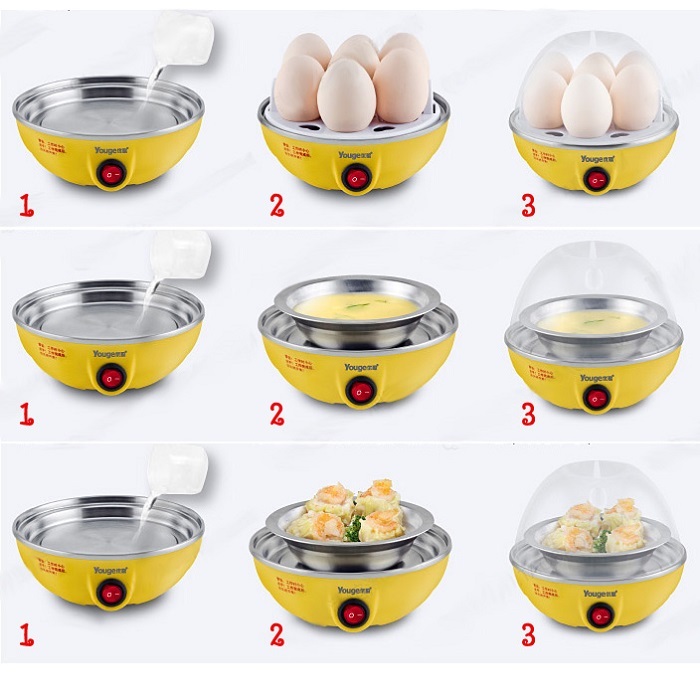 You can boil any number of Eggs from 1-7 Nos at a time. Use drinking water for the long life of the Heaters. 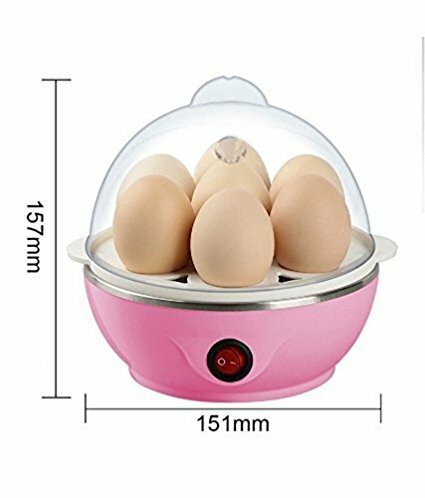 Please USE the EGG at Room Temperature. Do not use directly from the Refrigerator. Note :- For This Product We Have Three Type Of Color Variation. This Color :- Pink, White And Yellow. So We Dispatch The Order As Per The Color Availability.